Thank you 1915 Bolthouse Farms™ for sponsoring this post. I’m so excited to bring this post to you today not only because it’s with one of my favorite brands, but also because I’m hosting another GIVEAWAY!! That’s right, one winner will receive a box of 1915 Bolthouse Farms beverages. Score!! I was stoked to be able to work on a campaign with 1915 because I’m such a huge fan of their products. 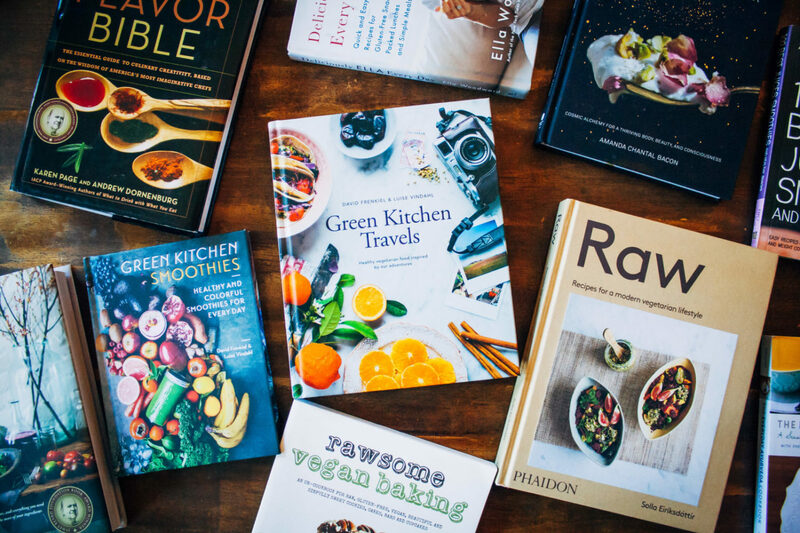 Not only do they offer cold-pressed juices, they have a completely organic, vegan, non-dairy line of protein drinks that are perfect for anyone looking to get optimal nutrition on the go. Lately, my mom’s been eschewing dairy and animal products in the interest of her cholesterol / heart health, so these protein drinks came at a perfect time in our house. She’s a huge fan of the chocolate flavor, while I’m partial to the vanilla. But for today’s recipe, I wanted to show how versatile the 1915 protein drinks can be. Not only can they be enjoyed on their own, but you can also sneak them into smoothies and baked goods for a delicious protein boost. I did a heap of recipe testing with the vanilla protein drink, and found that it worked perfectly in place of plant-based milk in baked good recipes, like muffins or cupcakes. 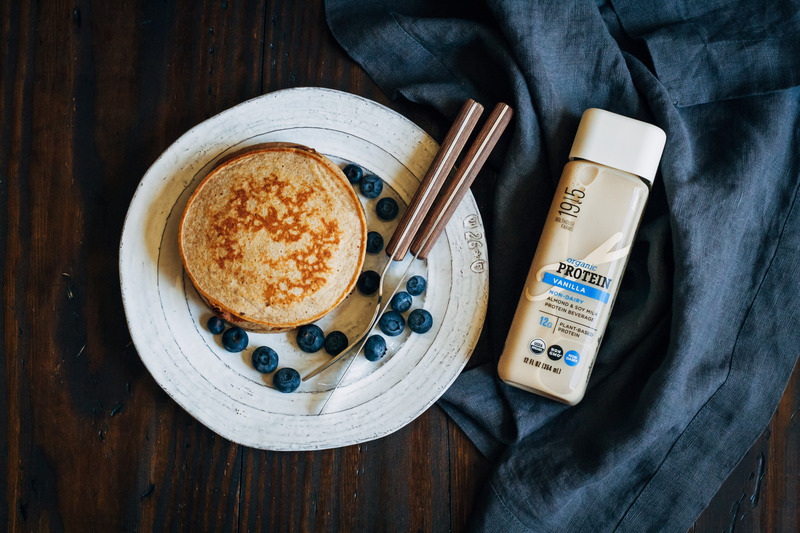 But being a low-key dessert person myself, I wanted to showcase the vanilla protein drink in my favorite type of cake – pancakes. 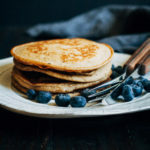 These vegan banana pancakes are the perfect breakfast, taking minutes to throw together in the blender. 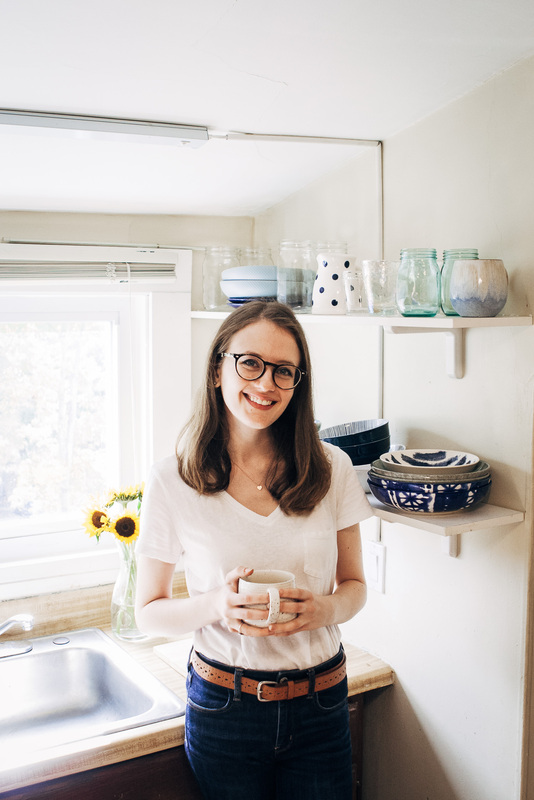 The idea for which, I must admit, came from my girl Jessie of Faring Well, who made some amazing gluten-free blender pancakes on her Nom channel. 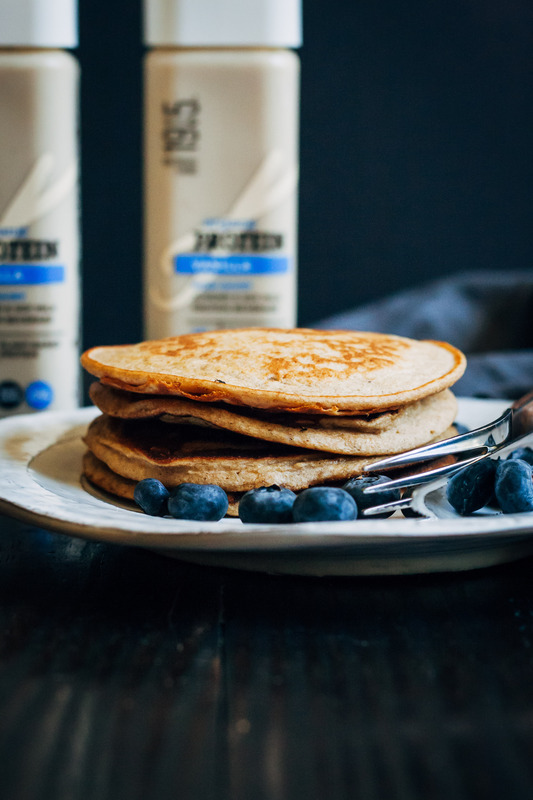 My pancakes are made with a combination of oats and spelt or whole wheat flour, for optimal fiber. You can absolutely substitute all-purpose gluten-free flour if you like, though. I hope you love these pancakes! 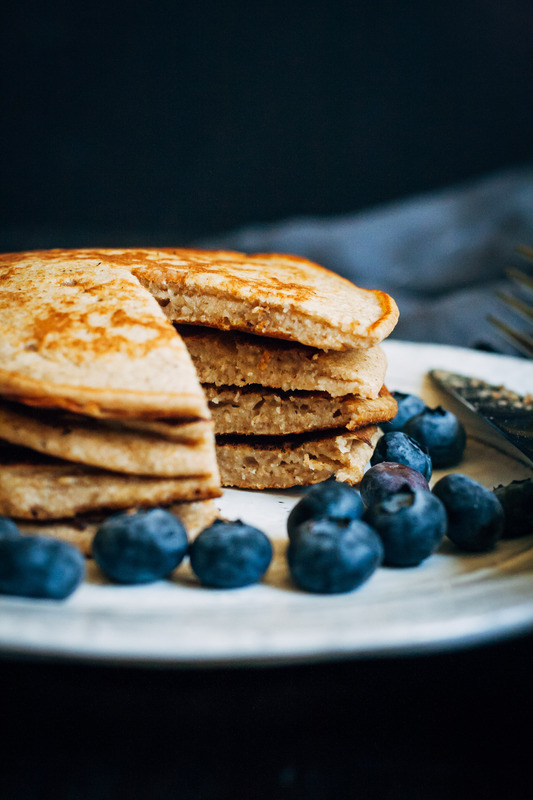 These healthy, easy vegan banana pancakes are a breeze to whip together in your blender! Made with an additional protein boost to fuel your morning. In a blender, combine all ingredients. Start with 1 cup of the 1915 Vanilla Protein Drink.... if that doesn't blend, add up to 1/4 cup more to the batter. Blend until smooth. Bring a sauté pan to medium-low heat with a little coconut oil or vegan butter. On the oiled surface, add as much batter to make a pancake in the size of your choosing. Cook for about 3-4 minutes on each side (it will depend on how big your pancake is). Repeat with the remaining batter. 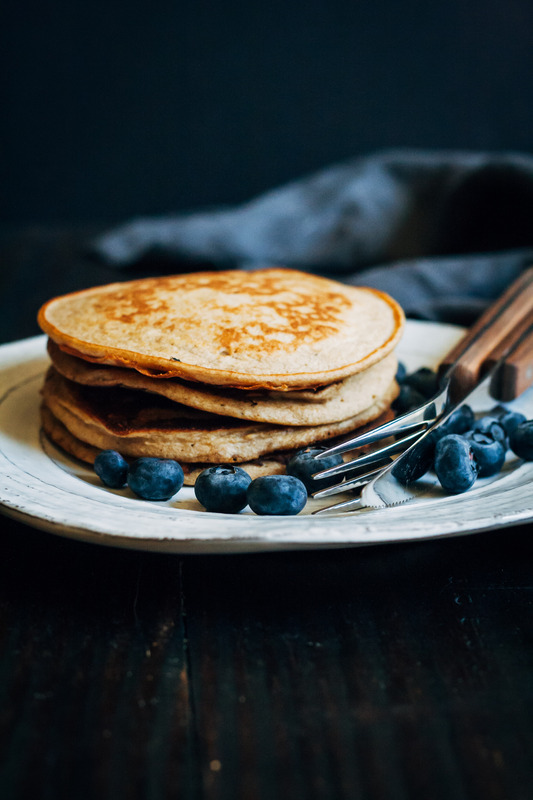 When done, serve your pancakes with maple syrup, vegan butter, or fresh fruit. 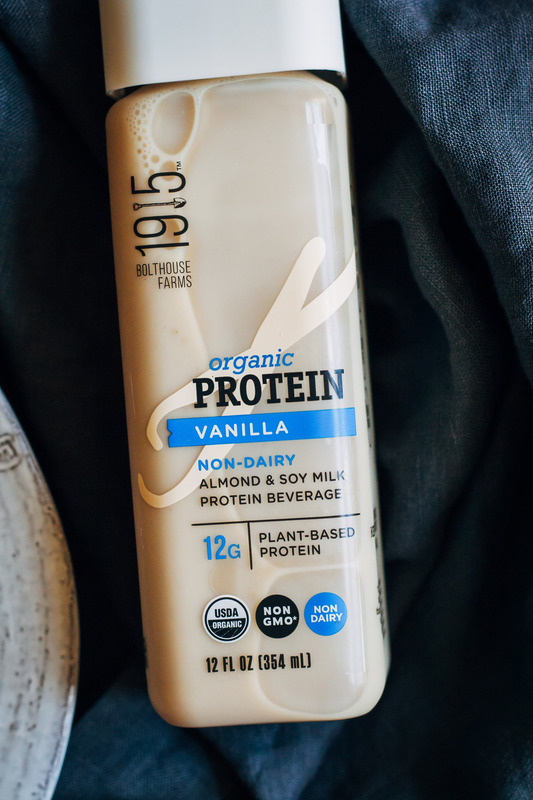 If you don't have any 1915 Vanilla Protein Drinks on hand, just substitute regular almond milk. What a great simple recipe, Sarah! I love that you’ve added oats to the pancakes. This is the first I’ve seen of the new Bolthouse Farms 1915 drinks! I’m loving the packaging. It’s so pretty! What’s inside sounds good too, haha. I’d love to try the vanilla in these pancakes. They look amazing!